NOTE: This article is for Installed Customers of our Classic Products (Events, Room Reserve, & Classic Summer Reader). Hosted customers of our Classic Products can contact Evanced Support to fix timeout issues. This article does not pertain to our New Core Products (SignUp, Spaces, Dibs, & Wandoo Reader). 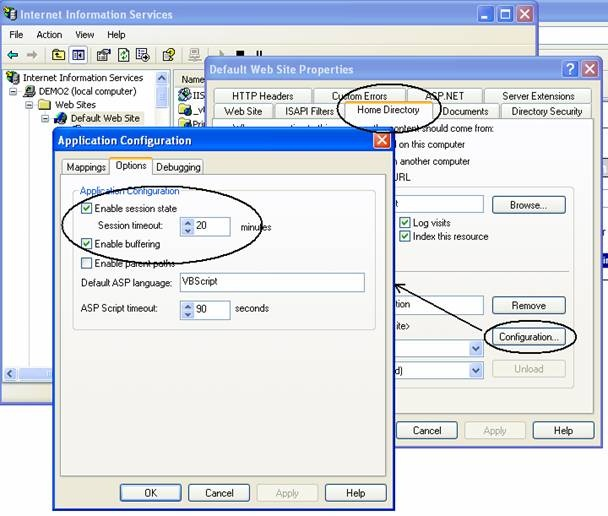 Our software relies on Session variables that are supposed to remain persistent as long as the user’s browser stays connected. If the web server looses a connection or a session timeout occurs then the user is required to log back into our system. 2) One of the more likely culprits is some sort of anti-virus software running on the server that is watching memory and killing the session after X number of minutes. 3) A router and/or firewall is somehow changing connections causing the server to see a change therefore loosing session state and making the user log in again. Posted - Wed, Sep 28, 2011 at 3:36 PM. This article has been viewed 7393 times.